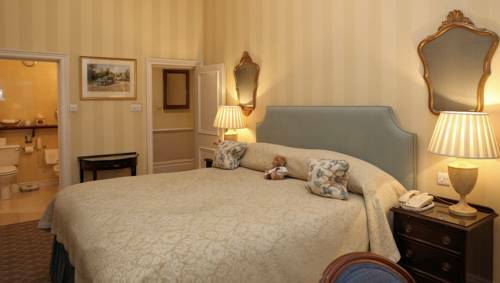 Offering traditional afternoon teas and indulgent breakfasts, the 5-star Draycott Hotel has luxury rooms with free Wi-Fi. 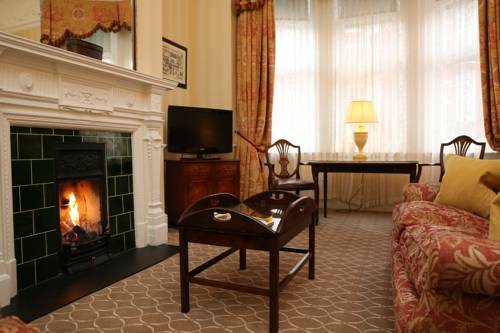 The hotel is just off Sloane Square, in the heart of stylish Chelsea. 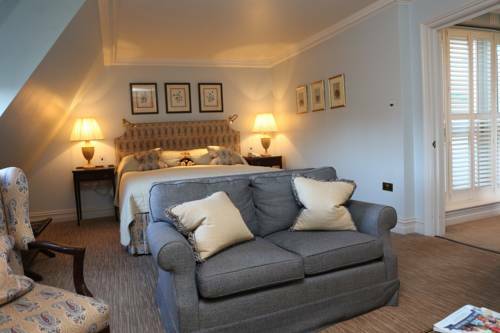 The Edwardian-style rooms are furnished with antiques, and each has a modern bathroom with fluffy robes. Rooms also feature a satellite TV, air conditioning and a work desk. Delicious cooked breakfasts are served daily in the elegant dining room, which has a theatrical theme. Guests can enjoy free afternoon tea and evening champagne in the drawing room. 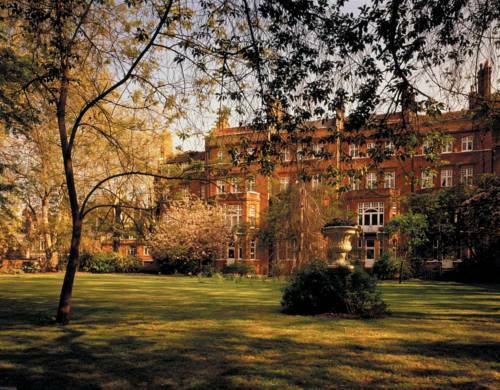 Just a 10-minute walk from glamorous Knightsbridge, the Draycott Hotel is 500 metres from the Saatchi Gallery. Sloane Square Underground Station is just a 2-minute walk away. 'Welcome to the Natural History Museum. We promote the discovery, understanding, enjoyment, and responsible use of the natural world. Explore our world-class collections, fantastic exhibitions and cutting-edge research online, or visit our landmark buildings.' Encounter our fiercest and smartest T. rex ever - a giant meat-eater that can sense when people are near. 18 Mar 2005 - 18 Mar 2007. Take a multimedia tour of the Museum's incredible architecture. 22 Aug 2005 - 07 May 2006. Coral reefs are beautiful and diverse but fragile ecosystems. Hear about the risks they face and some projects to save them. 24 Mar 2006. The Museum is open every day except 24-26 December. Last admission is at 17:30. Buckingham Palace has served as the official London residence of Britain's sovereigns since 1837 and today is the administrative headquarters of the Monarch. Although in use for the many official events and receptions held by The Queen, the State Rooms at Buckingham Palace are open to visitors every year. For visitor information, please visit the Royal Collection website. Buckingham Palace has 775 rooms. These include 19 State rooms, 52 Royal and guest bedrooms, 188 staff bedrooms, 92 offices and 78 bathrooms. In measurements, the building is 108 metres long across the front, 120 metres deep (including the central quadrangle) and 24 metres high. The Palace is very much a working building and the centrepiece of Britain's constitutional monarchy. It houses the offices of those who support the day-to-day activities and duties of The Queen and The Duke of Edinburgh and their immediate family. The Palace is also the venue for great Royal ceremonies, State Visits and Investitures, all of which are organised by the Royal Household. Although Buckingham Palace is furnished and decorated with priceless works of art that form part of the Royal Collection, one of the major art collections in the world today. It is not an art gallery and nor is it a museum. Its State Rooms form the nucleus of the working Palace and are used regularly by The Queen and members of the Royal Family for official and State entertaining. More than 50,000 people visit the Palace each year as guests to banquets, lunches, dinners, receptions and the Royal Garden Parties. For those who do receive an invitation to Buckingham Palace, the first step across the threshold is into the Grand Hall and up the curving marble stairs of the Grand Staircase. Portraits are still set in the walls, as they were by Queen Victoria. The Throne Room, sometimes used during Queen Victoria's reign for Court gatherings and as a second dancing room, is dominated by a proscenium arch supported by a pair of winged figures of ' victory' holding garlands above the 'chairs of state'. It is in the Throne Room that The Queen, on very special occasions like Jubilees, receives loyal addresses. Another use of the Throne Room has been for formal wedding photographs. George IV's original palace lacked a large room in which to entertain. Queen Victoria rectified that shortcoming by adding in 1853-5 what was, at the time of its construction, the largest room in London. At 36.6m long, 18m wide and 13.5m high, the Ballroom is the largest multi-purpose room in Buckingham Palace. It was opened in 1856 with a ball to celebrate the end of the Crimean War. It is along the East Gallery that The Queen and her State guests process to the Ballroom for the State Banquet normally held on the first day of the visit. Around 150 guests are invited and include members of the Royal Family, the government and other political leaders, High Commissioners and Ambassadors and prominent people who have trade or other associations with the visiting country. Today, it is used by The Queen for State banquets and other formal occasions such as the annual Diplomatic Reception attended by 1,500 guests. This is a very formal occasion during which The Queen will meet every head of mission accredited to the Court of St James's. For the diplomats it is perhaps the highlight of the annual diplomatic social calendar. The Ballroom has been used variously as a concert hall for memorial concerts and performances of the arts and it is the regular venue for Investitures of which there are usually 21 a year - nine in spring, two in the summer and ten in the autumn. At Investitures, The Queen (or The Prince of Wales as Her Majesty's representative) will meet recipients of British honours and give them their awards, including knighting those who have been awarded knighthoods. From the Ballroom, the West Gallery, with its four Gobelin tapestries, leads into the first of the great rooms that overlook lawn and the formal gardens - setting for the annual Garden Parties introduced by Queen Victoria in 1868. The State Dining Room is one of the principal State Rooms on the West side of the Palace. Many distinguished people have dined in this room including the 24 holders of the Order of Merit as well as presidents and prime ministers. Before the Ballroom was added to the Palace in the 1850s, the first State Ball was held in the Blue Drawing Room in May 1838 as part of the celebrations leading up to Queen Victoria's Coronation. The Music Room was originally known as the Bow Drawing Room and is the centre of the suite of rooms on the Garden Front between the Blue and the White Drawing Rooms. Four Royal babies - The Prince of Wales, The Princess Royal, The Duke of York and Prince William - were all christened by the Archbishop of Canterbury in the Music Room. One of its more formal uses is during a State Visit when guests are presented to The Queen, The Duke of Edinburgh and the visiting Head of State or for receptions. 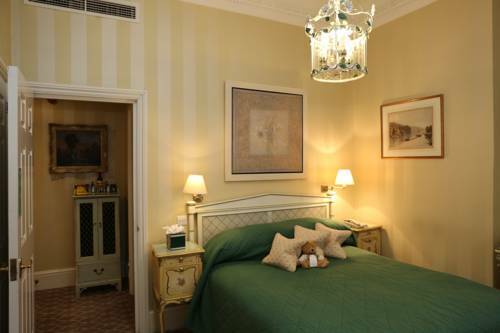 The last of the suite of rooms overlooking the gardens on the principal floor is the White Drawing Room. Originally called the North Drawing Room, it is perhaps the grandest of all the State Rooms. The Room also serves as a Royal reception room for The Queen and members of the Royal Family to gather before State and official occasions. The Bow Room is familiar to the many thousands of guests to Royal Garden Parties who pass through it on their way to the garden. It was originally intended as a part of George IV's private apartments - to be the King's Library - but it was never fitted up as such. Instead, it has become another room for entertaining and is where The Queen holds the arrival lunch for a visiting Head of State at the start of a State visit. The Royal Horticultural Halls and Conference Centre is centrally located in the "heart of Westminster", London and comprises two very fine exhibition and event Halls and a Conference Centre. This important and well-established multi-purpose events venue enjoys a prime location in an attractive residential area of Central London. The combination of its three facilities offers maximum flexibility for event organisers both in terms of space and application. The venue has an unrivalled track record of hosting all manner of events from trade and consumer fairs to corporate events and conferences. The venue has become a recognised centre for niche market, sectoral and new launch events. For examples of these please refer to our list of events.